Achieving success in real estate requires smart strategies, careful planning, and diligent execution. With the right expertise, resources and follow through, great ideas have the potential to produce great results. As a broker, TRA brings together buyers, sellers and developers to create value from Transit Oriented Development and Public-Private Partnerships. Project Description: The Forest Hills Station is a multi-modal transportation facility located at the end of the MBTA Orange Line in the Jamaica Plain section of Boston, MA. The property is part of the remaining land after the development of the Southwest Corridor project. In 2008, the Boston Redevelopment Authority, with the participation of the MBTA and local community groups, completed the Forest Hills Improvement Initiative. TRA represented the MBTA in working with the BRA and the community to create a feasible set of development guidelines, obtaining a buyer, and negotiating and closing the transaction. Client Benefits: The first phase of development within the Forest Hills Initiative, Parcels V and W closed in 2010 for $835,000. The 44,300 sf commercial development has been completed by WCI Realty. A 9,000 sf neighborhood market, Harvest Co-op opened in 2013. Download the PDF project sheet here. Project Description: Arborpoint at Woodland Station is a “friendly 40b” (Massachusetts high density/ affordable/ mixed housing project) transit oriented development incorporating 180 rental apartment units with 25% affordable units and a structured parking garage. TRA represented the landowner in obtaining the ground lessor, negotiating the deal terms, and closing the transaction. Client Benefits: Prepayment of the $4.3 million ground lease payments allowed for the construction of a 548 unit parking garage, new entrance road and redesigned handicapped accessible station platform designed, managed and constructed by the private partner. The project’s operating agreement calls for shared maintenance costs of the entry road and landscaping, reducing the MBTA’s long-term maintenance obligations. A 70 year ground lease was signed in 2004. The MBTA parking garage, station improvements and housing development are complete and the residences are fully occupied. Project Description: This former bus maintenance facility of the Chicago Transit Authority, in located on West Pershing Street in Chicago, contains 6.31 acres of land. The 100 year old 224,910 sf structure was closed for use by the CTA in 2010. The site had significant environmental issues and was offered with the remediation responsibilities to be assumed by the buyer. 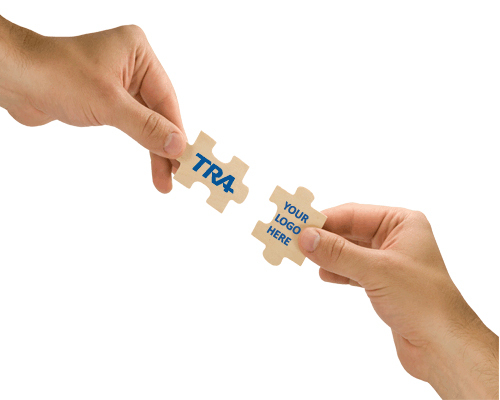 TRA represented the landowner in structuring the offering, finding a buyer and closing the transaction. Client Benefits: The CTA received a lump sum payment of $1.6 million. The project will enhance the neighborhood in a significant way with the redevelopment of unsightly garage into neighborhood fitness facility and retail center. The transaction closed in the fall of 2013. Project Description: Parcel 1A is located on Canal Street in the Bulfinch Triangle Section of Boston over the North Station Super Station. The development is a 10-floor mixed-use, transit oriented development that includes 241 rental apartment units with 17 affordable units, 27,750 SF of ground floor retail space, and 121 structured parking spaces. The entrance to the Green Line and Orange Line subway superstation with connections to North Station and the Boston Garden is incorporated into the first floor of the building. TRA represented the landlord in positioning the property, structuring the offering, obtaining an air rights lessor, negotiating the transaction and closing the deal. Client Benefits: A 99 year air rights lease was signed in June 2005 for $19.7 M in total rent plus an updated entrance to the subway. Construction was completed and occupancy commenced in 2009. The residences are now fully occupied and CVS is the anchor retail tenant. Project Description: The 8 acre parcel is the former MBTA Bartlett Yard bus facility located in the Roxbury neighborhood of Boston near Dudley Square. The project is located within ¼ of a mile of Dudley Station, the terminus of the MBTA Silver Line and a bus route hub. TRA represented the property owner, structured the offering, obtained a buyer, negotiated the transaction and closed the deal. Client Benefits: The disposition of this environmentally challenged surplus property generated $3.5M. The planned project will include affordable and market rate housing, commercial space, and neighborhood amenities. Project Description: This new waterfront mixed-use development project includes new restaurants, many local and national retailers, entertainment destinations and a marina. The project also includes approximately 500 single and multi-family residential units with 24 affordable units, and office space with waterfront views. The site was previously the historic shipbuilding site that launched 227 war ships during World War II. The transaction included a three-way land swap between the shipyard developer, the Massachusetts Department of Conservation and Recreation, and the MBTA. TRA represented the MBTA in negotiating and closing the transaction. Client Benefits: The transaction provided for a new and better located 1750 space commuter parking lot and $7.5 million in improvements to the 1.2 million square foot Hewitt’s Cove Ferry Terminal facilities for commuter parking, bus and vehicular access. The development opened in Spring, 2010. The client’s commuter parking lot has been completed and a new multi-use intermodal tourist facility, including bus and harbor island ferries and commuter boats to Boston has been constructed. Project Description: MBTA contributed a 60,000 sq. ft. parcel for a joint development project involving state, city and community organizations to enable the creation of a multi-phase mixed-use transit oriented development in the Jamaica Plain Neighborhood of Boston adjacent to the MBTA Jackson Square Station. The multi-phase program was planned to contain a total of 438 units including 291 affordable units plus retail and community space. TRA, as the MBTA’s representative, assisted the Boston Redevelopment Authority with efforts to maximize a feasible development plan with significant affordable housing and community benefits, and handled the transactions for the MBTA property to the selected developer team. Client Benefits: Creation of TOD and key mixed-use neighborhood revitalization project through a 85 year ground lease with single up-front payment of $1.15.M; Phase 1 of the project is completed and occupied. 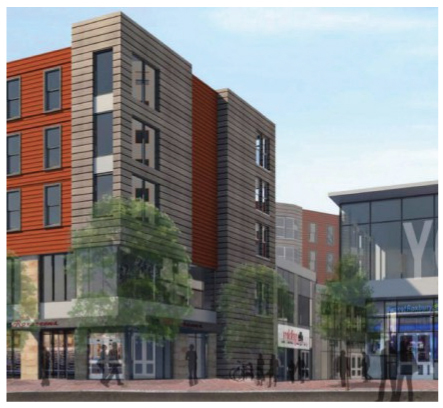 Project Description: This $101 million, 292,000 sf mixed-use project is an important TOD and gateway to Boston’s Mission Hill neighborhood. The project includes 68 new affordable homes, 8-12 small retail stores, a signature community building with non-profit office and multipurpose function rooms and a 10 story office building that will be the economic engine that ensures financial stability for the entire project. TRA represented the landowner, created the deal structure, obtained the buyer, and negotiated and closed the transaction. Client Benefits: Streetscape and site improvements are designed to improve pedestrian access and connections to the Southwest Corridor bike path, bus stops and the MBTA Roxbury Crossing Station. The development parcel sold for $4.1M in 2012. Project Description: The 5201-33 South Cottage Grove Avenue property contains approximately 81,320 square feet of land located in the Hyde Park neighborhood of Chicago. The Property, which had been the site of a former bus garage, was an unused vacant lot located adjacent to Washington Park and across the street from the National Guard Armory. The immediate area is a mixture of commercial and residential uses and in close proximity to the University of Chicago. This parcel was one of the largest remaining vacant parcels in the Hyde Park neighborhood. TRA represented the landowner, structured the deal, and obtained a buyer for the property. Client Benefits: The CTA received a lump sum payment of $2.025 million. The University of Chicago has recently completed a 86,543SF Facilities Services building which house 125 U. of C. employees working in the trade shops, landscaping and inventory departments. The building includes 2,500 SF of retail space, has a 21,500-square-foot green roof, and was designed to complement the neighboring buildings, specifically the armory to the west.